Frekhtman & Associates handles wrongful death cases with compassion and zealous advocacy on behalf of our New York City clients. Wrongful death lawsuits involve those accidents or mishaps which cause the death of an individual. As one can reckon, wrongful death can take place due to a variety of accidents: motor vehicle, construction, medical negligence, and many others. Losing a family member or loved one can be devastating in any circumstance, but the impact can be greater if your loved one’s death is sudden or due to someone else’s negligence. Surviving family members often struggle to pay for their loved one’s final expenses and must suddenly compensate for a loss in income. You should be able to grieve and heal, but instead you’re trying to make ends meet because someone else was reckless or careless. When another person’s negligence leads to a loved one’s death, this forms the basis of a wrongful death suit. These special lawsuits help surviving members of a family compensate for the financial and emotional costs of losing a loved one. The attorneys at Frekhtman & Associates have been helping New York families file wrongful death suits against negligent parties for decades. Compensation for economic damages. This may include reimbursement for the medical costs of a final illness or injury, expenses from the funeral and burial, and loss of earning capacity or income. Compensation for intangible losses. This category of losses include intangible damages like loss of partnership, loss in consortium or guidance, and mental anguish or suffering. In certain instances, victims of negligence may be able to pursue “punitive damages.” The courts reserve these for instances of gross negligence. These awards act as civil punishment to the person responsible for the wrongful death. Who Can File a Wrongful Death Suit in New York City? Not everyone is eligible to file a wrongful death claim. In fact, the state of New York is unique in that the only person who can file a wrongful death claim is the “personal representative” or executor of the deceased’s estate. In some cases, the deceased’s estate plan names the executor; in others, the courts will appoint an executor. Unlike many other states, New York law does not allow a surviving family member to file a claim – unless that family member is also the executor of the deceased’s estate. 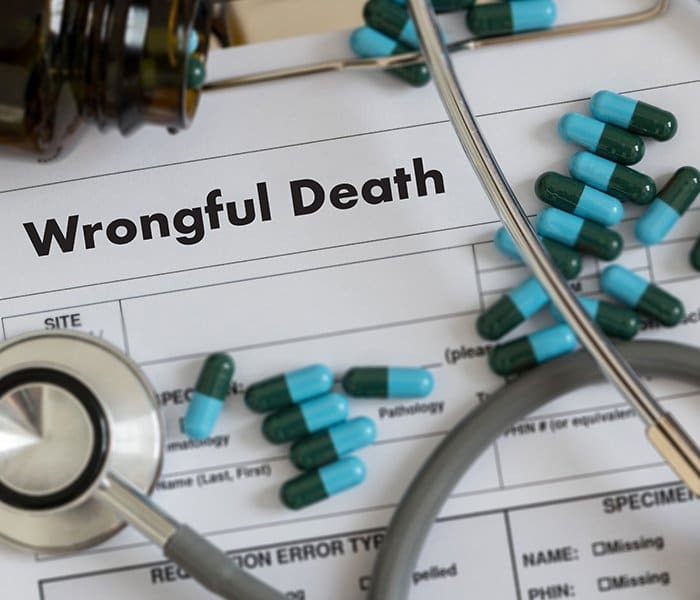 The wrongful death claim, however, does seek damages for losses suffered by the deceased’s survivors, including beneficiaries, heirs, and more. If a jury awards damages in a wrongful death claim, the personal representative essentially creates a trust for the surviving family members. 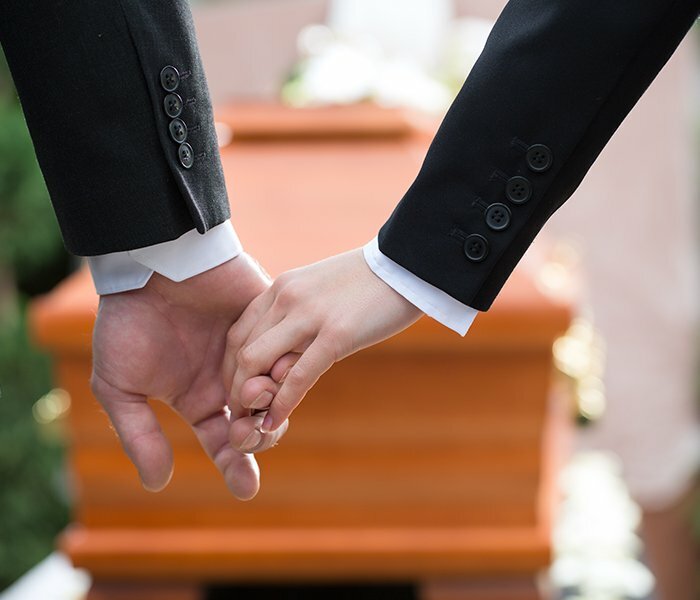 If you lost a loved one in any accident in which someone else is to blame, you may have grounds for a wrongful death suit. Your next course of action should be to contact the wrongful death attorneys at Frekhtman & Associates. Nothing can ever relieve the pain of losing a loved one, but surviving family members benefit from the financial security and peace of mind a wrongful death claim can bring. To schedule a free consultation and learn more, please contact us. Losing a loved one is perhaps the most painful event anyone can go through no matter the cause. In the event of a preventable accident, the sense of loss in knowing that your loved one passed away before their time can be overwhelming. On top of that pain is the added stress of medical bills, funeral expenses, and lost wages for those dependent on the victim for financial support. According to the Insurance Institute for Highway Safety, in New York in 2015 – the most recent year for which numbers are available – there were over 1,121 deaths from automobile crashes alone. A recent story in US News and World Report shows that medical malpractice is now the third leading cause of death in the nation. In the state of New York, there were 2,890 reports of medical malpractice in 2016. The US Dept. of Labor reports that in 2015 nationwide fatal workplace injuries were at their highest rate since 2008. With your loved one gone, you likely face a mountain of worries. Who will cover medical expenses incurred during their final days? How will you pay for funeral expenses? How will you replace the lost wages your loved one provided? The stress and anxiety you feel may well contribute to illness and problems of your own. You need an attorney willing to step up and help you carry the burdens at this time. After the experience of the death of a loved you may be feeling at a loss about what to do next? The attorneys at Frekhtman & Associates can help you begin to answer that question. Recognized by the American Institute of Personal Injury Attorneys as one of America’s top 100 trial lawyers, our attorneys have the experience and dedication to work for an equitable settlement in your situation. We’ve offered consolation and sound legal advice to many in your situation, as they try to move on without their loved one. We’ll be right at your side throughout the process, handling the legal complexities so that you can focus on your emotional recovery. Your attorney will file your claim in a timely manner according to New York law and before the statute of limitations deadline. He or she will identify and track down witnesses and even bring in experts to testify in your case. They will estimate the financial losses you incur from your loved one’s death. Your attorney will negotiate on your behalf with the insurance company to ensure your claim gets the attention it deserves and that the negligent or at-fault party compensates you for this terrible loss. Should your case require going to court to win a fair settlement, your attorney will be ready to handle the complex paperwork and aggressively represent your best interests in court. You may feel like curling up in a ball and hiding from the world right, but securing your future and that of your family means acting now. Nothing can truly make up for the loss of your loved one, but the attorneys of Frekhtman & Associates can work to ensure you have a more secure financial future. How does wrongful death work in New York? In various cases wrongful death can be one among many causes of action pled in a lawsuit. For example, an auto accident victim may claim damages for conscious pain and suffering from the date of accident for a number of weeks or months until their death; and afterwards the decedent’s beneficiaries could sue for wrongful death. Broadly the same is often true in law suits involving medical malpractice. Call the New York City wrongful death lawyers at Frekhtman & Associates for a free consultation at (866) ATTY-LAW.